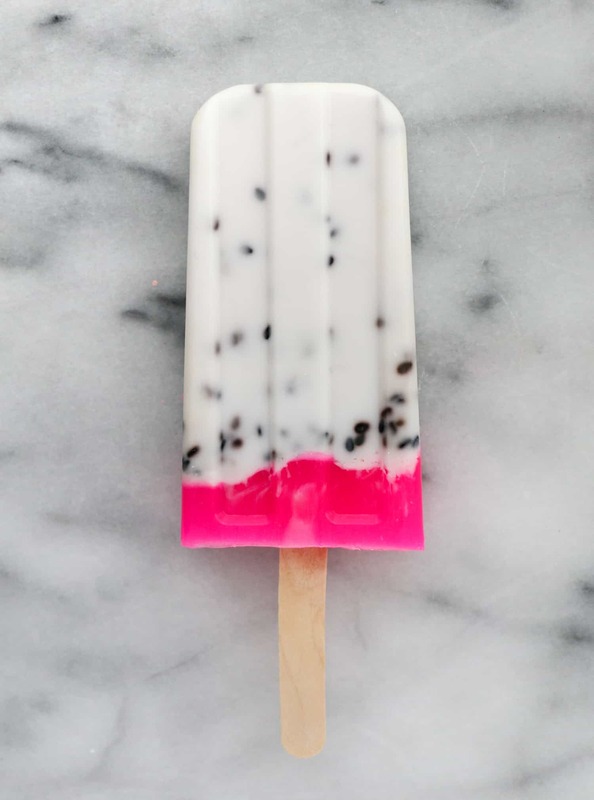 Nope, those aren’t edible dragon fruit popsicles—they are actually DIY dragon fruit soap popsicles! 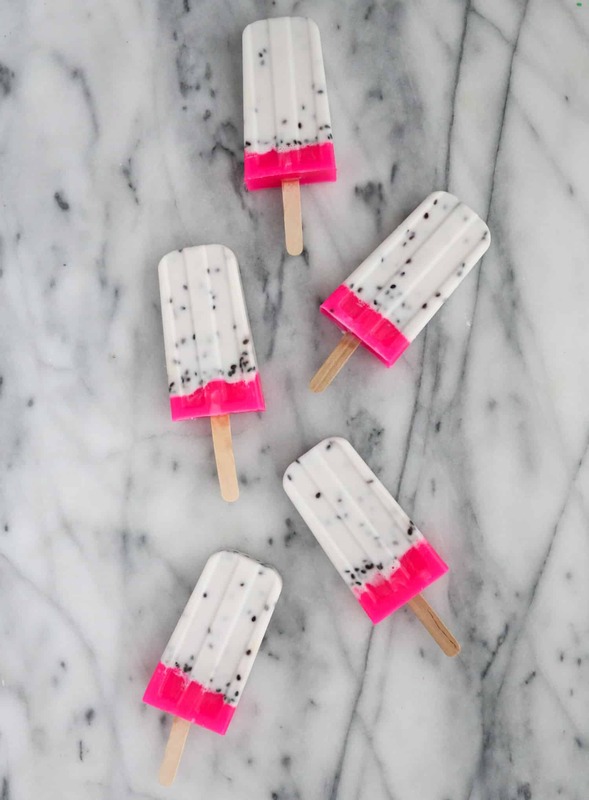 Yep, you heard that right, DIY soap popsicles! Pretty fun, huh? 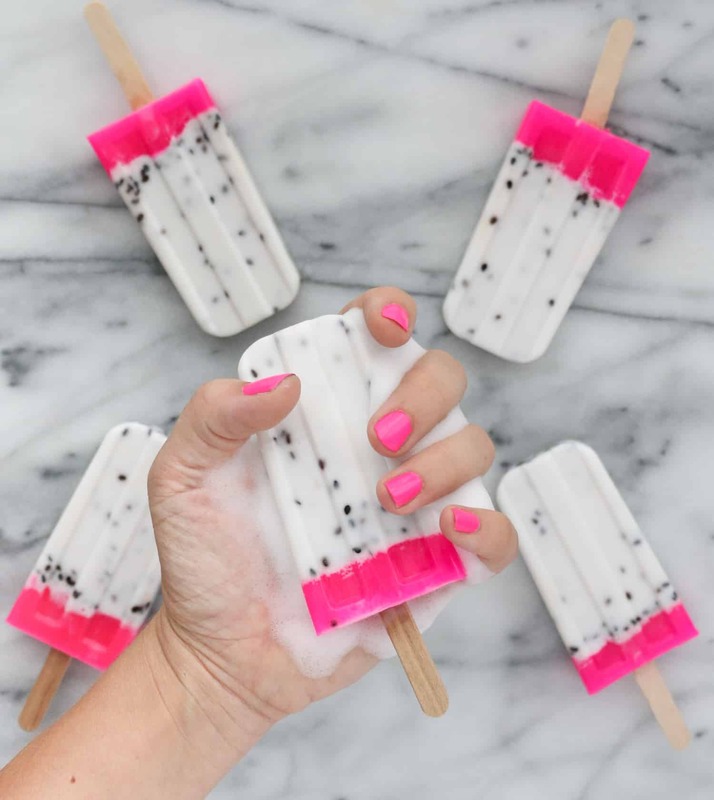 They are the perfect summer craft and look mighty cute at your sink to wash up with. Just be sure your guests and kids know they are soap, otherwise they could get a mouth full of bubbles. 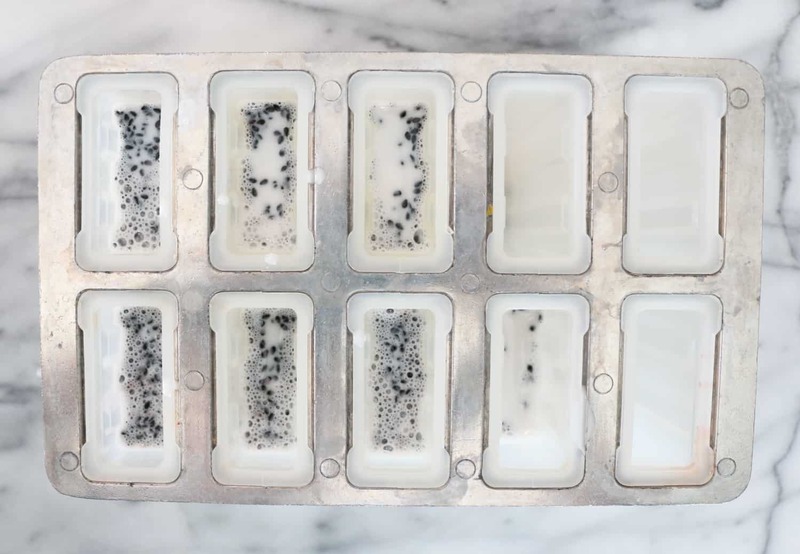 If you have yet to try soap crafting, these are a great beginner one to try, because although they look complicated, they really only take a little bit of work to create. 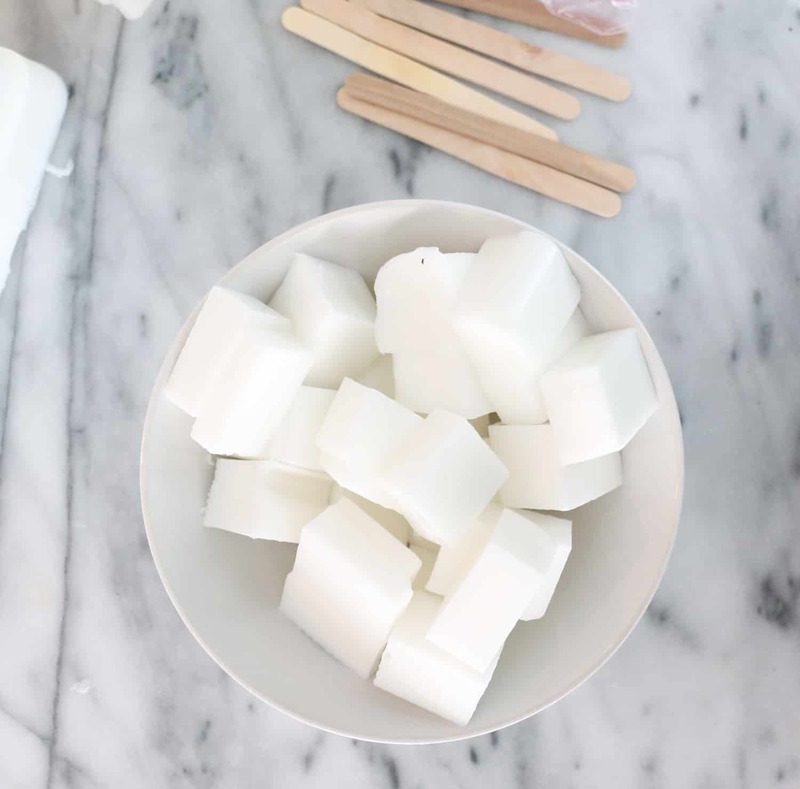 Step 1: Cut up your white soap into approximately 1″ chunks (I used 3-4 cups to make 6 soap popsicles) and place in a microwave-safe bowl or measuring cup. Microwave on high for 30 seconds-1 minute or until your soap just starts to bubble on the sides. Stir to fully melt all the soap base and then add 1 tablespoon of seeds and a few drops of your essential oil or fragrance oil. 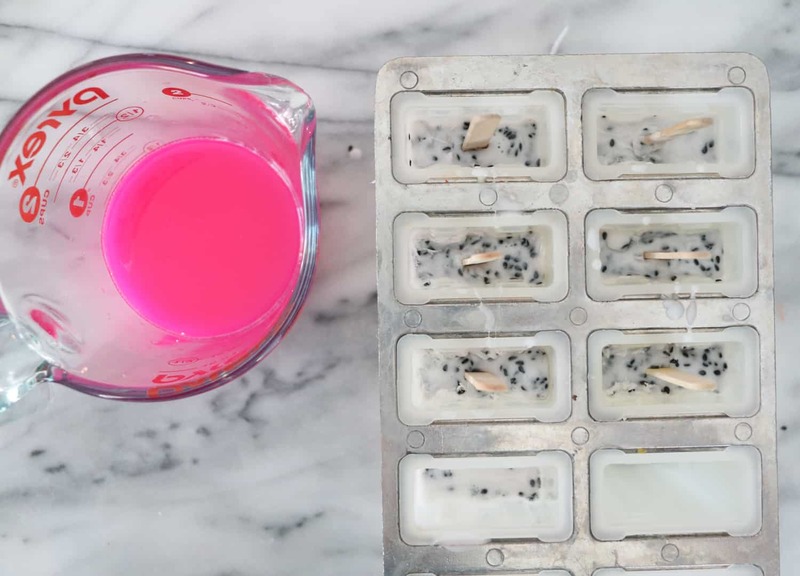 The seeds do double duty as an exfoliant and help the soap popsicles look like real dragon fruit. 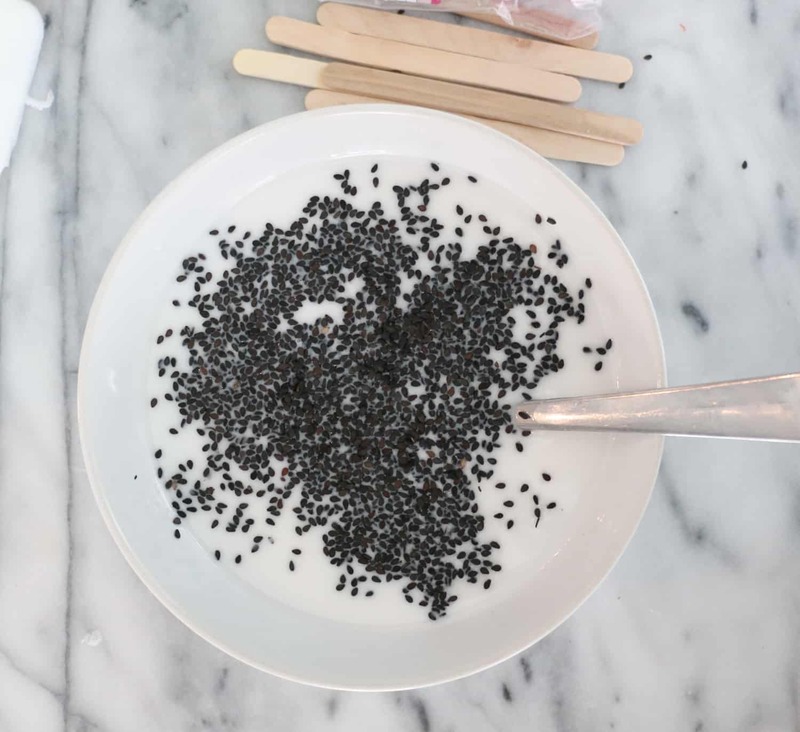 Step 2: Mix in the seeds and oil and gently pour the melted soap into your popsicle mold 4/5 of the way up. 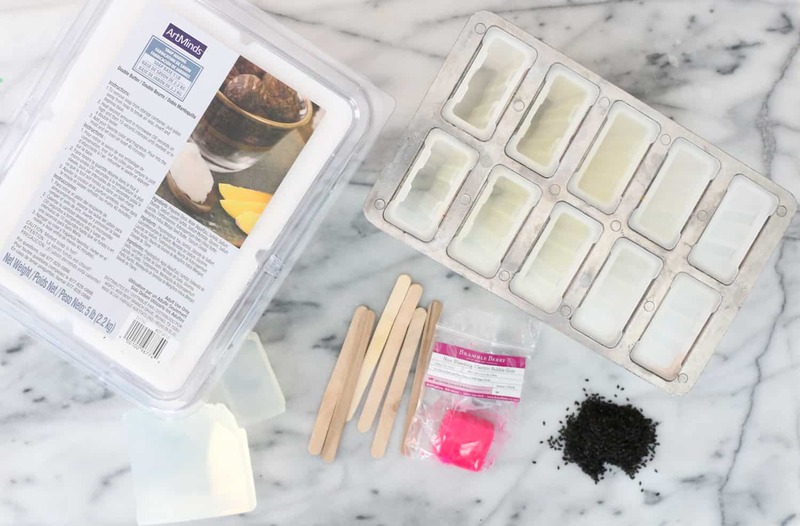 Let set for 3-4 minutes then gently add your popsicle sticks to the soap. Step 3: Let the soap set for 30 minutes to fully set, then cut up your clear soap into 1″ pieces. 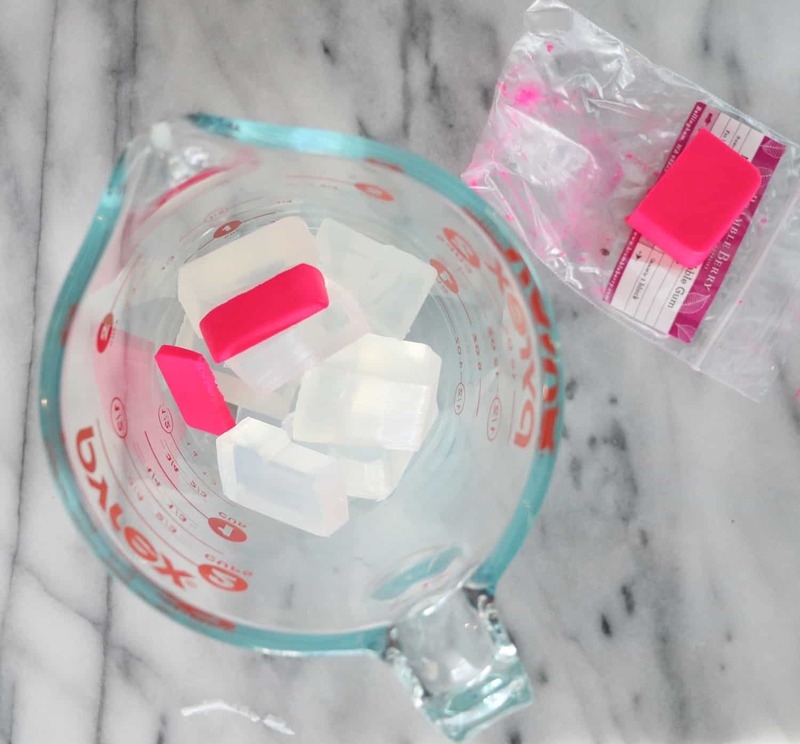 Add a small amount (about 1 teaspoon worth) of the pink soap colorant block and melt the soap until it just starts to bubble on the sides. Step 4: Spritz the soap in the mold with the rubbing alcohol (this lets the new soap layer adhere to the first layer to create one solid soap piece). 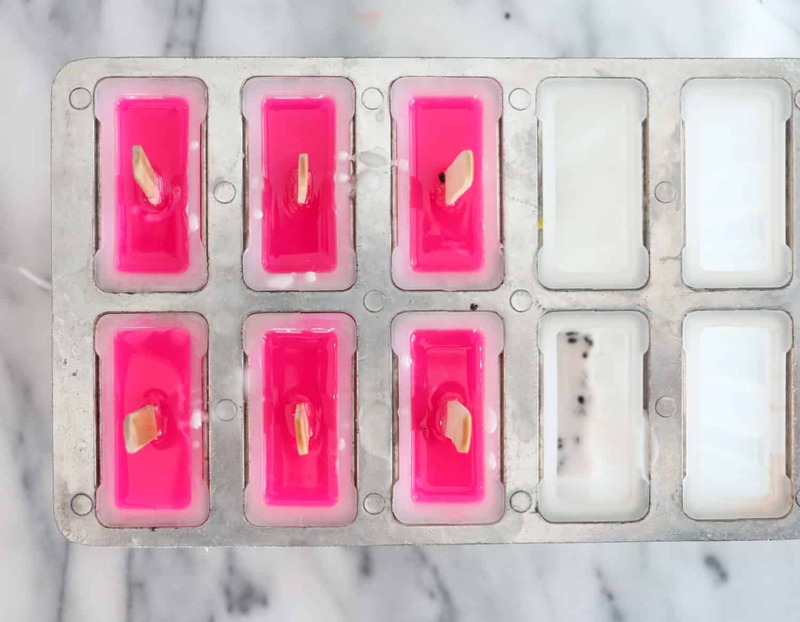 Next, pour in the pink soap to the top of the mold. Then put in your freezer to firm up. Step 5: After an hour or so, remove the soap from the freezer and run the mold under hot water to dislodge the soap. 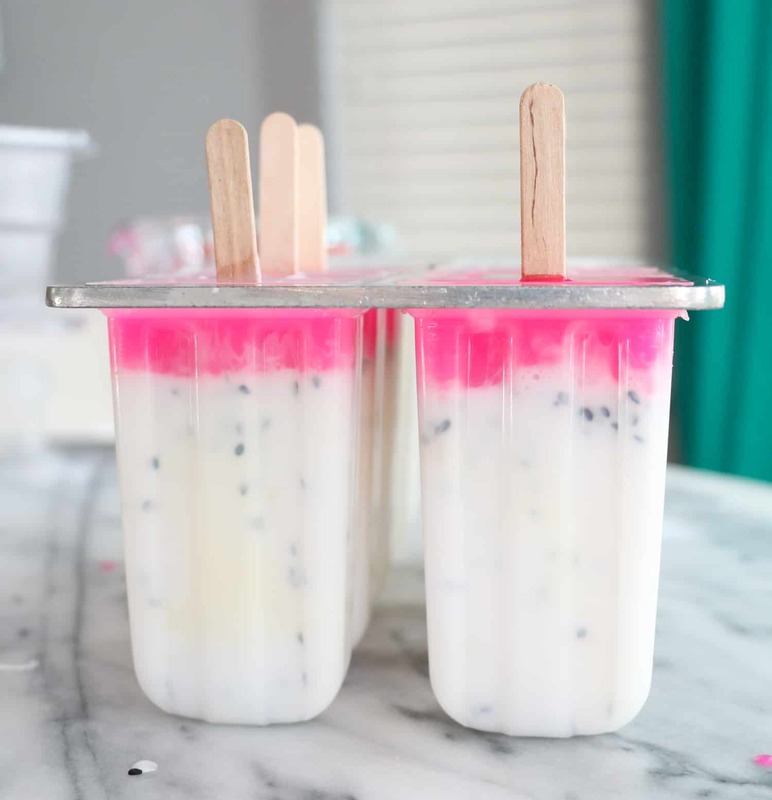 Pull on the popsicle stick to remove the soap from the mold.